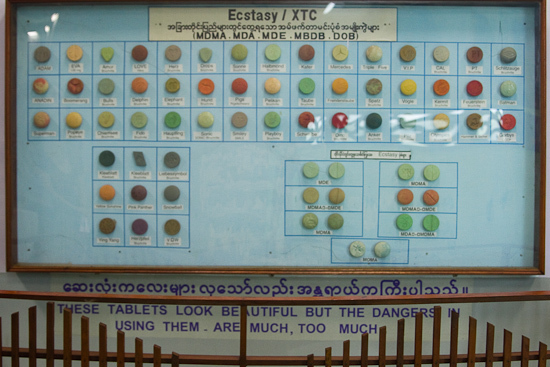 The Drugs Elimination Museum in Yangon (Rangoon) is a bizarre must-visit museum for anyone interested in the history of Myanmar’s drug wars. 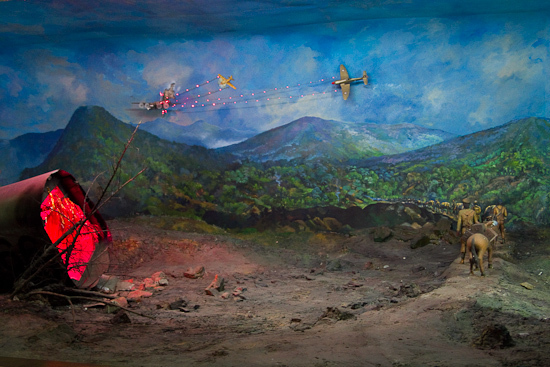 Founded in 2001, the exhibitions traverse war scenes, political history and artwork about the horrors of drug-induced insanity. 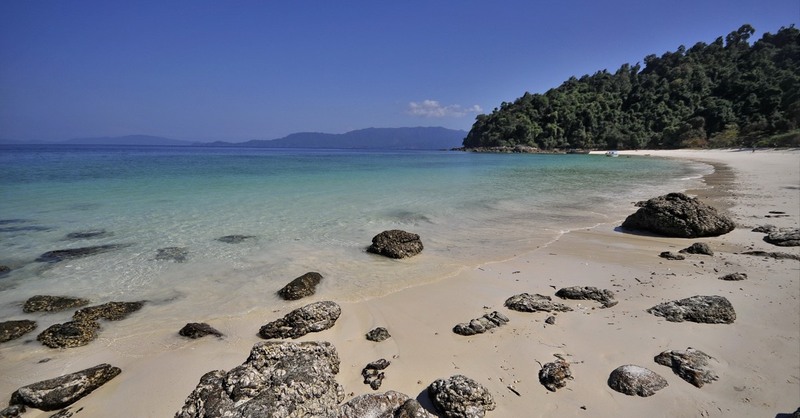 Along with Thailand and Laos, Myanmar helps to form the notorious Golden Triangle, historically one of the world’s biggest opium producing areas. International pressure to prevent opium poppy production — and more recently methamphetamine production in border areas — has led to ongoing eradication efforts, often with varying degrees of success. 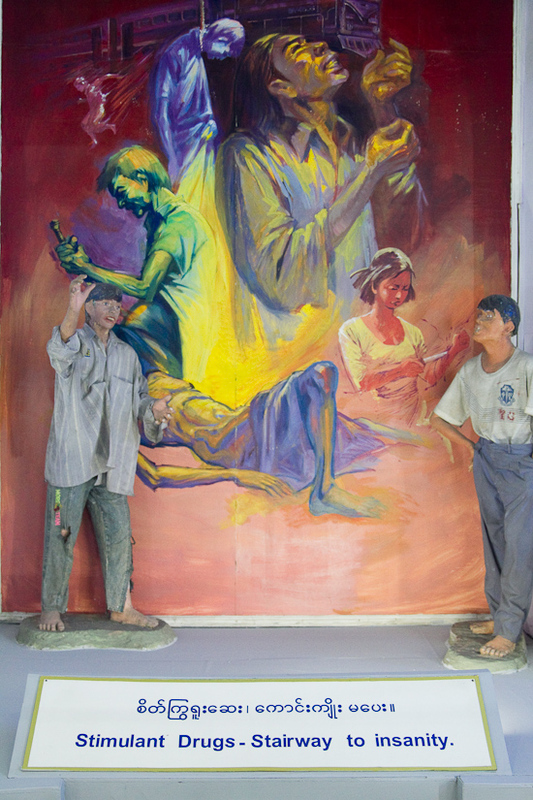 Unfortunately the museum’s manner does not reflect the seriousness of this chapter of Myanmar’s past, as the three floors are usually sparsely attended, with staff sleeping in the exhibitions right next to life size figures of generals or under pictures of propaganda. If you wish to wander on your own, be prepared to flick on light switches for the full experience of the interactive dioramas that let you destroy drugs with the press of a button. Another highlight is the “Effects of Drug Abuse” room, eerily similar to a travelling carnival’s haunted house. Getting a museum attendant to give you a tour through the room with photos of actual victims, black light murals and party-animal figurines, is highly recommended. The upper floors show documents related to international cooperation and military battles against the drug trade. Law and policy documentation are on display as committee members decorate the walls along with paintings of Myanmar’s drug elimination work. Displays of actual drugs are neglected and poorly supervised to comical effect. Along with these exhibitions, alternative methods of living without growing drugs are suggested and offered to anyone attending the museum who might or might not be in contact with drug users. If a taxi driver has a hard time finding the location (address below), let them know it’s just south of Junction Square, close to Pyay Road. With a large cinema and modern shopping centre located in the Square, this holds the ingredients for a day of shopping, lunch and a show.